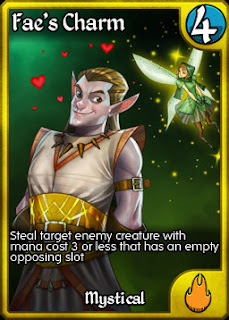 Kingdoms CCG is a highly competitive collectable strategy game. To make the game enjoyable for players of all skill levels, we have created three formats for you to choose from when building decks. Check out our video, and find out more details below. A maximum of 8 rare cards, 2 Epic rarity cards, and no Legendaries. This is the core of Limited. These restrictions force Limited decks to be primarily built around good commons and uncommons, with the rares and epics providing the heavy hitters of the deck. If you are just starting out, your new player decks and a single Starter from the store will give you more than enough to build your first Limited Deck. Standard Format sets only. These include Core, Light Ascending, Descent into Darkness, Gods Reborn, and the promotional sets of Promo, Arsenal, Premium and Guild (Tribes Two and Legacy are excluded). Maximum of 2 Kingdoms. Your deck can only contain cards from the Kingdom of your chosen Hero, another Kingdom of your choice, and unaligned cards. The Kingdom you choose must not be the enemy Kingdom of your hero (i.e. Holy and Undead). Unaligned Heros can choose any two Kingdoms, including enemy Kingdoms. No Banned cards. 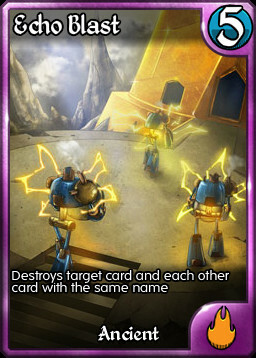 Right now there is only one banned card in Limited: Deploy Cannons, but there may be others in the future. This card can not be played in Limited, but can be played in Standard and Legacy. Sometimes cards unbalance one format, but are fine in another. Having the ability to ban cards allows us to leave such format issues without nerfing the offending card. Now don't misinterpret these rules as suggesting that Limited play is easy. 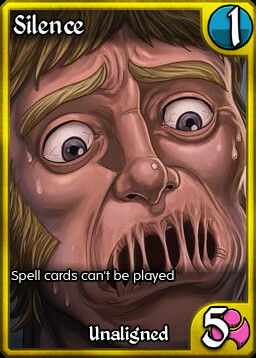 Many of our top players enjoy Limited for its deck building challenge. But if you do go up against a top Limited deck that you really like, you can know that building the deck for yourself will be much less difficult. A maximum of 4 Legendaries. You may play any number of rares and Epics (maximum 4 of any one card), and you may include the incredibly powerful Legendary cards in your deck. Each Legendary is unique though. Only one of each in your deck, and a maximum of 4 total. Standard Format sets only. As with Limited, Standard removes Tribes Two and Legacy cards. Maximum of 2 Kingdoms. Standard uses the same rule as Limited here. Standard play has powerful spells, devastating creatures and game changing gear. While daunting for newer players, Standard is what competitive players strive to become the best at. For those players who want a format that allows everything, and does away with restrictions, we have the Legacy format. Here players are not limited to the "2 Kingdom" rule, and may play any card ever created for Kingdoms CCG, from the meekest Mana Moth to the back-breaking Realm Crusher to the "what just happened" demigod Justice. The only limits? 4 Legendaries max, and again your Hero cannot play cards of its enemy hero. 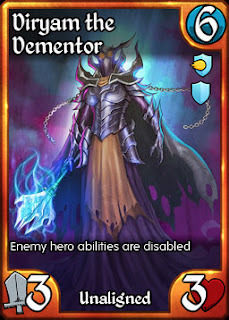 Decks can contain enemy Kingdoms though, for example, an Alchemy deck could have both Mystical and Elemental cards; it just couldn't contain Ancient cards. Note that currently Guild Wars uses the Legacy format. When you join a guild, be ready for some fearsome decks. Last but not least we have Sealed and Draft. These formats are special in that you cannot choose your Hero. All players are given a special version of Amorya for balanced play. Your deck only needs 25 cards, rather than 40, and you can play any card that you open or draft. Draft 6 Whelps? Feel free to play them all! There are no restrictions. We are currently putting the final touches on the new release and wanted to give you an update as to some of the changes you will be seeing shortly. We didn't raise the price after all. The new Core Basic pack contains 10 cards with a guaranteed Rare or higher, and stays at just 5000 Gold. The Core Premium packs take a cue from what we've done with our recent packs and now have a chance to open up to 3 rares in a single pack, plus a better chance at getting an Epic or Legendary card than the Basic pack. We previously announced that there would be three buffs happening with this release. Well we didn't stop there and we're now up to 9 buffs. This is the only "new" card in Core, and it will replace all of the Regens in your current collection. No, it isn't going to have any impact in constructed, but you now have a card that is worth drafting or adding to your sealed deck. After much consideration, we've decided not to change the name of Limited after all. Some players rightly pointed out that while the format does require a smaller card pool, it is just as competitive and cut-throat as Standard, so calling it Apprentice might suggest that only new players are involved. The second change is much more significant. Legendary cards will no longer be allowed in Limited play. This has been a topic of discussion for months within the community, and as we're making such major changes to the game, we decided that it was time to make rule a reality. This change will help new players ease into competitive play through the Limited format. There are still numerous "bombs" in Limited that will be able to swing a match, and it will remain highly competitive, but as those bombs will be in the Rare and Epic slots, they will be much easier to acquire. The discussion on whether to include Tribes Two in the new Standard format or not was truly split. Many lamented that some good, key cards would be lost - like Deny - while others recognized that perhaps it was time to see the threat of Manacycle Wizards and Scavenging Goblins leave the environment. We agree with both sides. Tribes Two will not be included in Standard, but we will be keeping those key cards in Standard. We have decided to split Tribes Two in half. The Epics and Essences will remain in the Tribes Two mini-expansion, while the other two rares in each Kingdom will move to the new Premium (formerly Holiday) expansion. This decision keeps some great cards in Standard without using up any of the slots in New Core. The other question we've regularly heard since the New Core announcement is "what is happening with the crafting stones?" The new Elara's War stone will appear in both Light Ascending and Descent into Darkness premium packs, plus can be found through scrapping cards from these sets. The stone can craft any non-Legendary card in these sets. The basic Creature, Gear, and Spell stones will be able to craft any card from Core, Legacy, Light Ascending or Descent into Darkness. Legacy will include all of the cards from old Core, Eve, Rise and Tribes that didn't make it into the new Core. The Rune Word stone is being phased out. It will no longer drop and has not been updated. Eve, Rise and Tribes stones are being phased out. As there will no longer be cards in these expansions from the system's perspective, they will all be able to craft any card from the Legacy set. New Core: Outta My Way! When trying to find the edge in tense creature battles, removal spells are the key to victory. 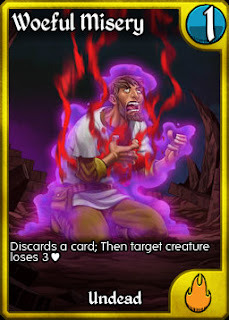 Currently in Kingdoms CCG, the best removal is spread out across the expansions, making it sometimes hard to collect all of the key spells you need for all of your decks. With the creation of New Core, we are bringing many of these top spells into a single, one-stop-shopping option. Today we're going to spotlight seven pieces of great removal that you'll find in New Core. We've already spoiled that Echo Blast and Maelstrom are in - so let's check out what else is in store! Much to the surprise of no one, Pacify is in New Core. It's one of the defining cards of Holy, and has proven to be both popular and balanced. A hallmark of stall strategies, the card is extremely powerful against expensive or buffed creatures, yet weak against smaller creatures. Add to that it is a great pick in both Sealed Deck and Draft and the card should continue to have an impact for years to come. Let the misery reign! Woeful Misery is one of the best cards in Tribes for good reason. At just 1 mana and having the ability to ignore both resist and armor, Woeful Misery just kills creatures dead. 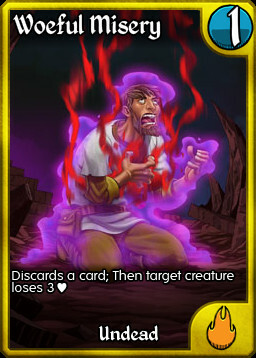 yes, the loss of the extra card (chosen randomly) can hurt in some games, most of the time you just want to clear an opposing slot to win the game directly, at which point that lost card doesn't matter at all. As we've already spoiled Elemental's premier removal spell, and Lightning Bolt isn't very exciting (yes it's in), here is removal and game-winning all rolled into one. 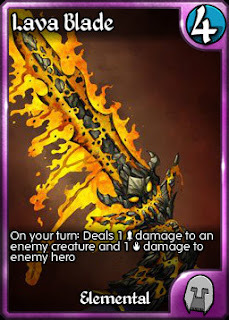 One of the most popular gears due to its unrelenting damage Lava Blade is a perfect addition to the New Core roster. Mystical does not get direct damage, so it must find ways to subvert the opposing forces while progressing its board presence. 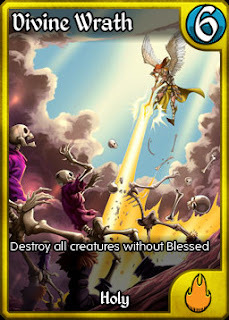 Essence Shift does just that - it removes an opposing creature while making your creature more resilient in the process. Iconically Mystical, Essence Shift is in. Small creatures (and gear) can be very annoying. Turn after turn they drop, while you try to collect your mana together.Oust just says "Go away". Rotted Remains pumped with 5 Reassemble? Go away. 4/5 Raging Vines? Go away. 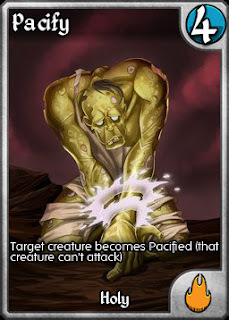 Oust is a great card to control a weenie based metagame and for that reason finds a home in New Core. While Alchemy's removal spell might be situational, it is very good in those situations. No other rare card can take down Elara for a mere two mana, not to mention being able to efficiently deal with cards like Manacycle Wizard and... What's that? Ah yes, Hose Down is now 2 mana. This has been discussed many times, and with the release of New Core we're finally pulling the trigger. Unaligned doesn't get many spells, but they do get some very good gear. Like this one. While not currently a force in the meta, its power is undeniable and could easily find a place in the new Standard. Every turn just smash something small and run them over while they try to recover. Speak softly and carry a big hammer! 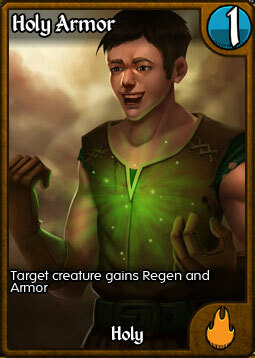 And as we spoiled one of the 5 Legendary cards in New Core last week, how about another... with a twist! You asked for a buff. You get a buff. Rak'Mul has carried that axe for a long time, now let's see him use it! When attacking, Rak'Mul how deals 1 physical damage to each opposing creature. If that kills an opposing creature... his second ability triggers. Attack into a wall of 1/1s and he gains 3 abilities before hitting the opponent in the face! 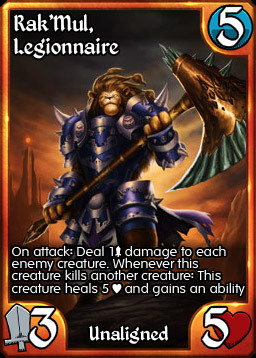 He can also now attack into a 4/4 and come out unscathed! Long due for a buff, we think that this new version is more than worthy of that orange frame! Stay tuned for more spoilers and news! Today we're going to look at a number of the rare cards that will be a part of the new meta when New Core is released later this month. As announced in our last blog post, there will be 9 rares in each of the seven Kingdoms, for 63 rares in the set. These cards have been pruned down from a list of 185 options, so basically we're removing 2/3's of the rares from the current environment to make a more streamlined and more easily accessible game. Removing the dregs was relatively easy. 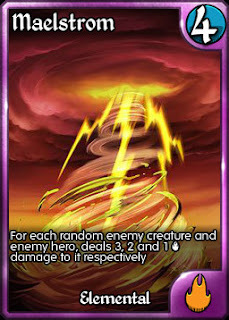 There was no way that Nethergods Will had any chance of making it into New Core, and there were many cards like Goblin Strip Miner and Nature's Retribution that while not completely ineffective, didn't live up to the standard we were trying to build. The more difficult decision was to pick which of the "tournament tier" cards would make it into the new set. New Core has also been planned as a chance to adjust the meta in a positive way, with the hope of expanding the range of cards that see play. To do this, some strategies needed to be strengthened, others needed to be weakened. In the future we'll look at some of the top cards that didn't make it into New Core, but today we'll look at some of the great rare cards that ARE in New Core, and why they made it. Holy's "Board Clear with a Bonus" is one of Holy's best and most unique spells. At its worst it resets the ground game when you fall behind, at its best it clears your opponent's board while leaving your Blessed or Indestructible creatures unscathed and ready to attack. 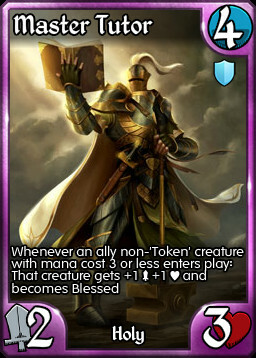 Long considered one of the weakest Kingdoms, Holy stands to gain the most from the set rotation and this powerful spell may be the backbone of that resurgence. The original set card that helped define the Mystical kingdom, Fae's Charm will keep on stealing the hearts of enemy creatures in the upcoming meta. In a game where 2-3 mana cost creatures can have so much impact at all stages of a game, the Charm helps to keep these decks honest. Just killed my Scroll Maker with a Nightstalker and given it +2 Attack? Thank you, I'll take that. You're so kind. Command Creature is a surprisingly powerful spell that feels perfectly Ancient. Play it on any larger creature and it's opposing creature will crumple into a corpse while you rush across unimpeded. 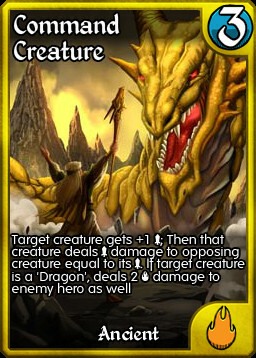 Add in the tribal bonus and the amazing artwork and Command Creature was a no brainer to add to the set. If Spiteful Demon didn't have it's On Turn penalty, it would be a 4-of in every deck, as every Kingdom would pair with Undead just to play it. While its penalty is steep, the card will likely form the cornerstone of future all-in aggro decks of all flavours (and yes, Undead got some very good spells as well). Board kill and face damage, all rolled into a nice, balanced package. 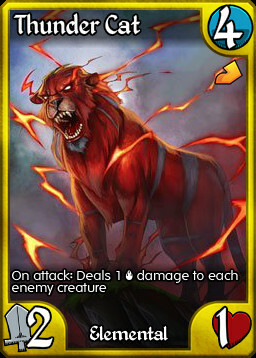 In many ways a Fireball that can kill you if left unchecked, Thunder Cat provides great value in a simply designed card. Haste decks will be losing some of their cards, but Thunder Cat is too iconic to let go. Hi Ravinova. When you stop making Chalice copies, perhaps you can lend a Goblin a hand a make a few more of me? Alchemy's role as the poison kings of Euna is being played up in New Core, and the poster child for this strategy is the Immobilizer. 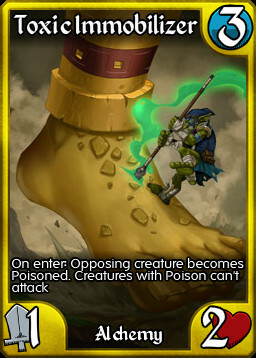 Combined with Alchemy Charm, our toxic friend can lock and inevitably remove all of your opponent's key creatures. Combine with Noran or the mystical spell Aether Walk to keep Toxic Immobilizer poisoning as your opponent tries to replace their fallen. One of the best sideboard cards in the game, that has even seen main deck play in the arena, Silence will be in New Core to provide added protection against the many powerful spells remaining in the game. That's right. Army is in. Back when Dirty Fuel's "downside" was 99% upside, the Army found its way into every deck - whether it was combo, control or aggro. Rushing a 5/5 Overrun creature out of the blue closed out a large number of games. While weakened by Dirty Fuel's new card text, the Army remains a powerful late game threat, and hard to kill early drop if you need it. Since the announcement of New Core, we've answered a number of questions that have come up on our Facebook page and official forums. Today we'll break down this Q&A so that everyone is up to date with the latest information. 1) When is New Core planned to be released? We are aiming to have New Core available to everyone at the end of April. This is a large update so the only hitch could be getting through Apple's testing, but we've learned from our last submission and will try to get this update to Apple with time to spare. 2) What is the breakdown of New Core? New Core is 229 cards made up of 4 Epics, 9 Rares, 9 Uncommons and 10 Commons for each Kingdom (including Unaligned) plus 5 Legendary cards (all Unaligned). 3) Will there be any balancing changes in New Core? Yes, but only a few. We're looking at buffing three cards to help them out. We will not be nerfing any of the cards going into New Core. 4) What is the goal/point of the gear cap? Why 8? Why not 4? Or 20? This is a fair question. Kingdoms is a game of limits. 3 creature slots. 5 cards in hand. 1 rune word in play. 60 card maximum deck size. Yet not gear. This was clearly an oversight in design, and our goal is to make this right. Core clearly set out that Gear wasn't only for support. Two of the original gear - Quickdraw Cannon and Shadow Dagger - were intended to have the ability to win games when used in multiples. 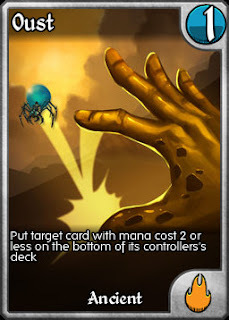 Our goal is not to eliminate gear-focused decks from the environment. Epic Battle Axe has a place in the game, not just Archer's Parapet and Mage's Mantle. 8 is a number that allows players to build these decks, yet not let them get out of control. The cap also forces gear based decks to make decisions about which gear to play when. If you just throw out 8 gears quickly, you may not have any space for that key card, or only have room for 1 turret off that Deploy Cannons. This adds a layer of skill to the game that isn't there now, and will improve the game. 5) Will EVE/Rise/Tribes still be purchasable with the release of New Core? Yes, just not in sealed packs. The only sealed packs available will be New Core, Light Ascending, Descent into Darkness and Gods Reborn. All cards will still be available in the Dynamic Market, even the bad ones. 6) Will the Advanced Tutorials give out packs of New Core? 7) Will the campaign rewards be changed? Yes. All of the cards awarded during the campaign will be Standard playable. This includes the random cards available by the single-card prize packs. 8) Will there be any new cards in New Core? No. They will all be existing cards. 9) Could the contents of New Core change in the future? Yes! This is one of the benefits of running a digital collectable card game. We could add cards, replace cards, or remove cards without having to change the system. 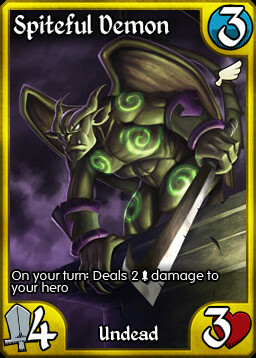 We know that many of you will have a favourite card that won't make the cut into New Core. It's bound to happen. Just know that any card that has been removed could return to Standard in the future. Master Tutor is one of the few Holy Epics that has seen tournament play on a regular basis. Able to turn smaller creatures into more significant threats, while keeping you alive with points of Blessed, Master Tutor could help see rise of Soldier decks in the new environment. 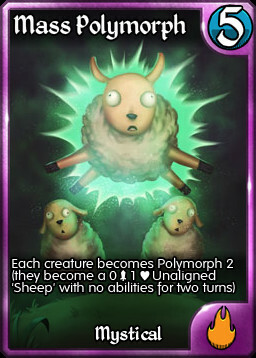 Mass Polymorph is often described as a solution to many of the game more difficult to remove creatures, and is a defining Mystical ability. For these reasons the sheep will continue to be a fixture in the new meta. 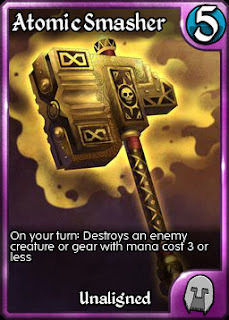 The best (albeit expensive) removal in the game, and a key reason to play an Ancient hero. Echo Blast is in! 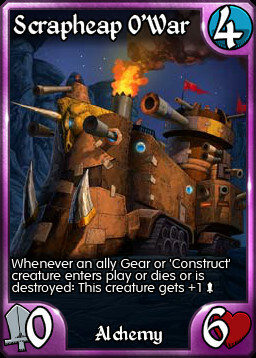 Released in Tribes, Scrapheap has never really had a chance to shine. It saw some play in MEK, but that was soon abandoned for the Shrapnel Cannon direction, because with no limit on gear and no way to block it, the Cannon was a faster win. With gear now restricted, the Scrapheap could easily move into gear decks as an alternate win condition and a great blocker. 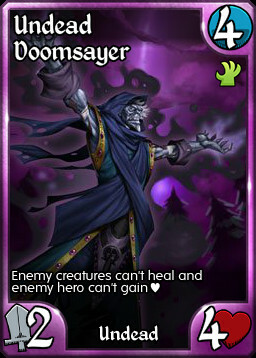 As the best current anti-life gain option in the game, the Doomsayer was a no-brainer to include in New Core. It's unique ability and decent stat line make Doomsayer a defining card in the Undead Kingdom. And finally, Maelstrom. 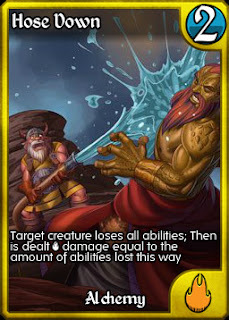 One of the top Epics in the game, Maelstrom is the very definition of the Elemental kingdom - violent, chaotic, deadly. While not all of Elemental's direct damage suite has made the cut, their showcase spell lives to burn another day. 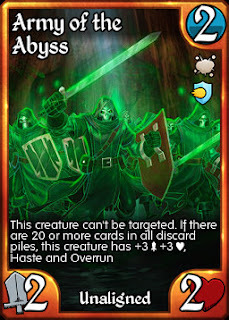 Stay tuned for more card reveals and a look at the three card buffs!